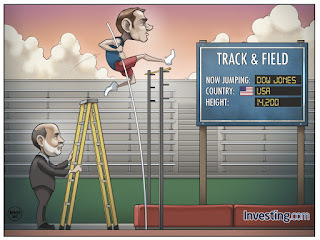 This is the Investing.com comic from two weeks ago. I've been super swamped and haven't had much of an opportunity to post recently, hence the delayed introduction of this comic. Not that you were missing much. 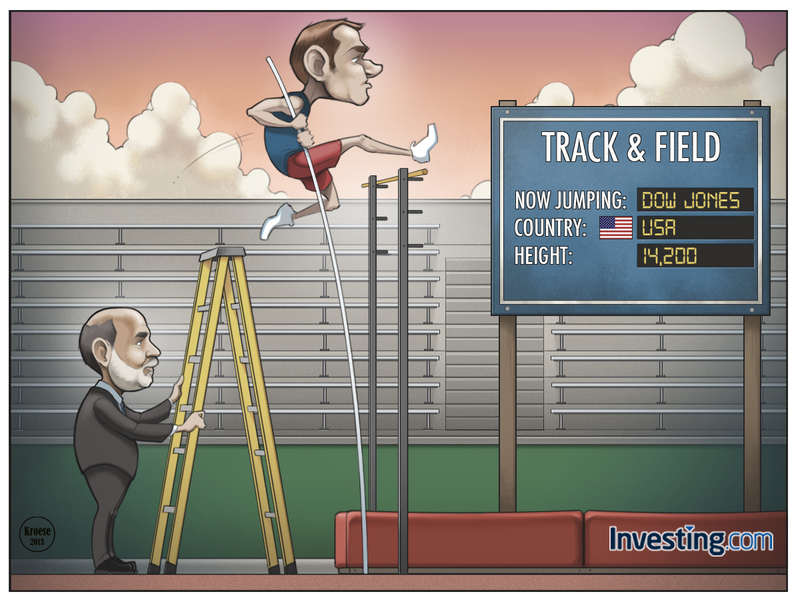 The idea of this comic is sound enough (as always, thought up by the folks at Investing.com). It has to do with the new "record" set by the Dow Jones Industrial Average (btw: this record is apparently not adjusted for inflation, so it's not REALLY a record). But the illustration is a bit weak. It's just not particularly well-executed. It's boring. There's no real focal point. The perspectives are all a bit off. And I really dislike the pole vaulter's face. His features are those I use often when I'm not referencing anything. I should stop drawing people without any kind of reference. Because it turns out like this guy and it's not great. I could give you an excuse, of course. I literally had 30 minutes of sleep the night before. But still. I don't want to make a habit of turning out mediocre work. Even if it is partially due to exhaustion. Next week's comic will be better. I promise. I can make this promise because I was so late in posting this comic that the next comic already exists.